Sisters Nicole and Leticia Gabino are anything but average juniors. After taking several college courses during the past three years to fulfill graduation requirements, the twin sisters are able to walk the stage one year early. 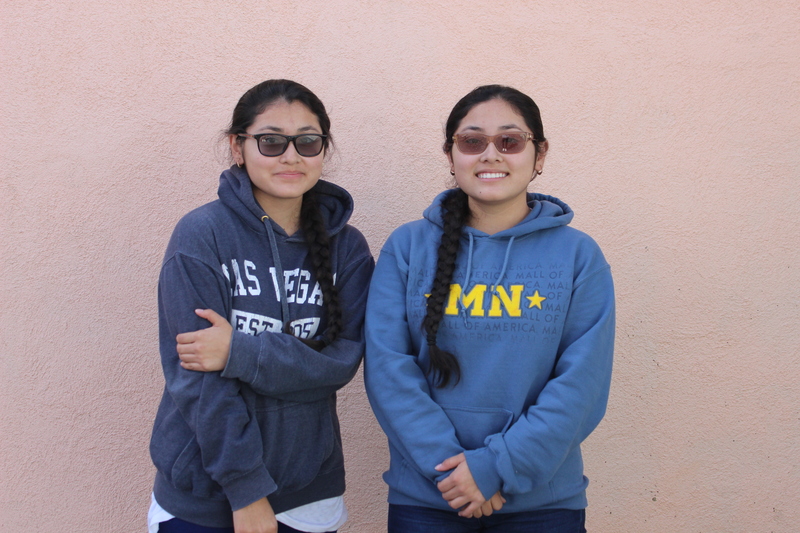 Since the summer of 2016, the Gabino sisters have taken 12 college classes at Los Angeles Pierce College and Los Angeles Valley College to gain enough credits to graduate early. With encouragement from their mother, they took up the challenge. Due to their dedication to Pierce College, they hope to graduate from there by next year. Both have taken Art 101, Child Development 1, Political Science 1, Chicano Studies 2 and 80, Administrative Justice 1, Geology, English 101 and are currently taking Economics 1. “By next year hopefully (with) our 60 units from Pierce, we’ll be graduating from there as well,” Nicole Gabino said. Guidance counselor Martina Torres was the first person who helped get the twins to where they are right now. With the twins being technically leveled as seniors, they also sent out college applications to a numerous amount of universities. Some schools they applied to include Cal State University Northridge, Yale University, Harvard University, Princeton University, University of California, Los Angeles, UC Irvine, UC Berkeley and UC Davis. Both Nicole and Leticia Gabino have career goals in the justice field. Nicole Gabino plans to be a civilian judge but to become a lawyer first whereas Leticia Gabino plans on becoming a lawyer.